Popular Design tool Sketch can now make your app designs bling. There are plenty of plugins for Sketch that do things like pull sunsets or other boring imagery into your app as a placeholder, but not many that are as fun and cheeky as this. 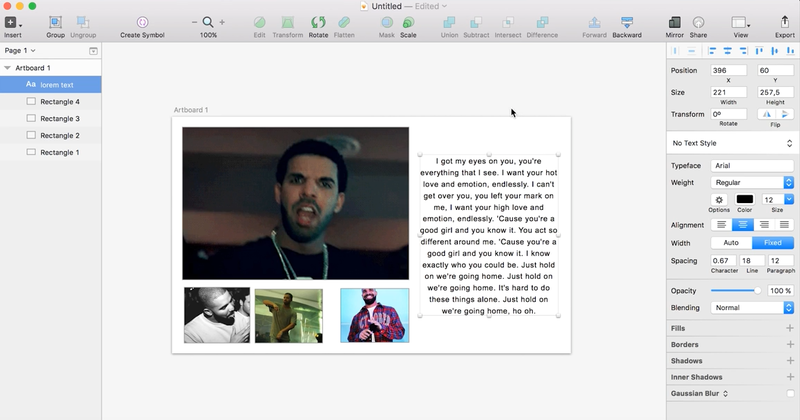 If you want to go from zero to 100 real quick on putting Drake into your wireframe, the plugin can be downloaded from GitHub.